In order to get your products in front of potential buyers, Google AdWords and Google Merchant Center need to work together. 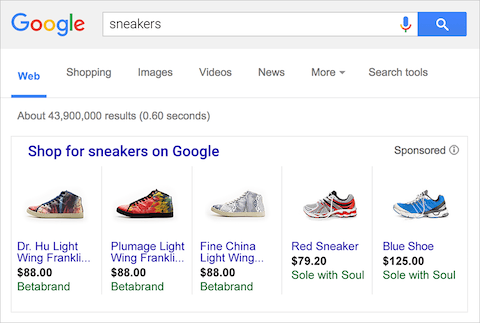 By uploading a feed containing your stores inventory, images, product descriptions, product ID’s and other information to Google Merchant Center, dynamic product listing ads can be shown to shoppers looking just for your products. 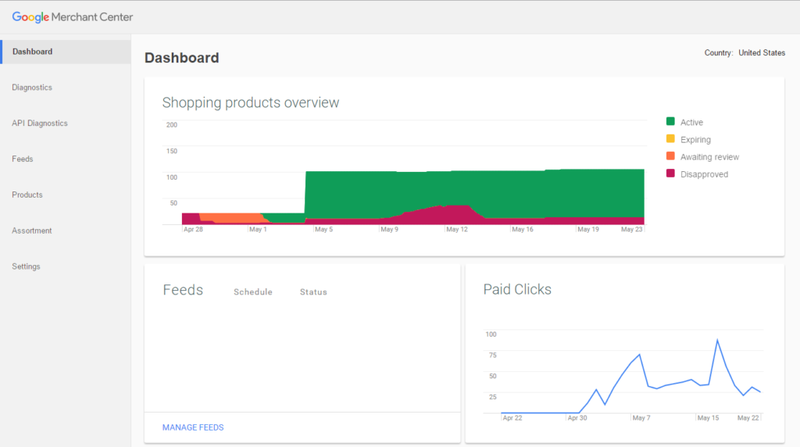 Once your products are successfully uploaded to Google Merchant Center, our marketers build a Google AdWords shopping campaign around your data set and drive highly relevant traffic to your online store. 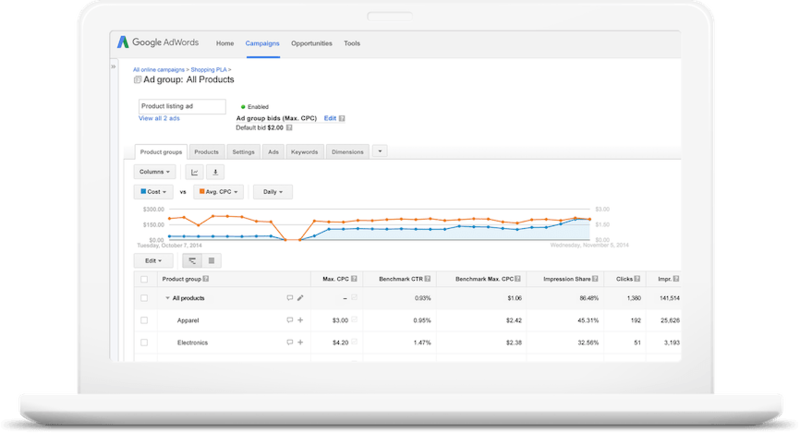 Google AdWords shopping campaigns can be further optimized by working the product data feed exactly to Google specifications and customers’ product demands. Adding & removing negative keywords as needed. Testing & implementing product image variations. Working closely with the client, all campaigning is geared towards a positive return on investment (ROI) to be reflected in key performance indicators like conversion rate, cost per converted click and overall CPA . The 49ABOVE MARKETING GROUP provides merchants with national and international Google Shopping campaigns in English, German or Spanish speaking target markets around the globe. Learn more about targeting international markets here.